It’s that time of year again — spring is just around the corner! 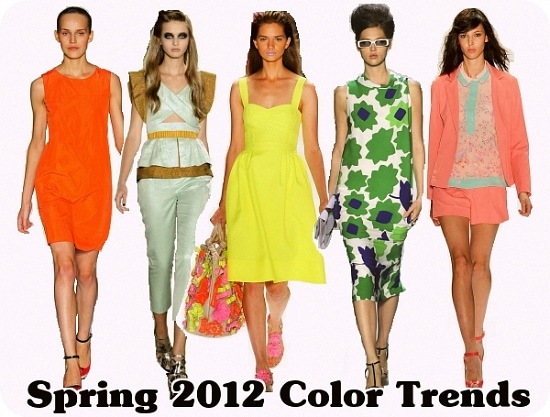 With the warmer temperatures comes a bunch of new fashion trends, including the latest and greatest color trends. 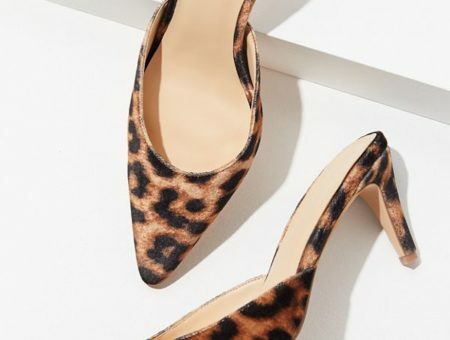 Rocking this season’s hottest hues is a surefire way to stay on trend without breaking the bank — just pick out a new piece or two in one of the colors below and you’ll have a completely updated look for springtime. 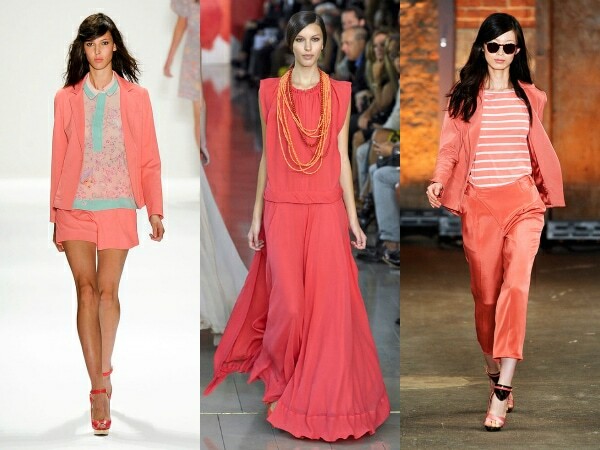 Pantone named tangerinethe color of 2012, so get ready to see this bright hue everywhere this spring. 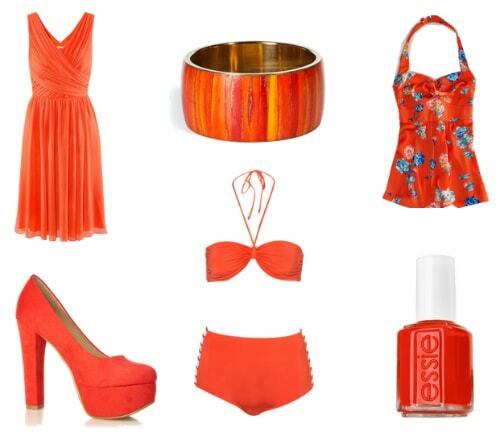 Tangerine is a highly-saturated orange with a reddish undertone, which makes it a flattering shade on most skin tones. 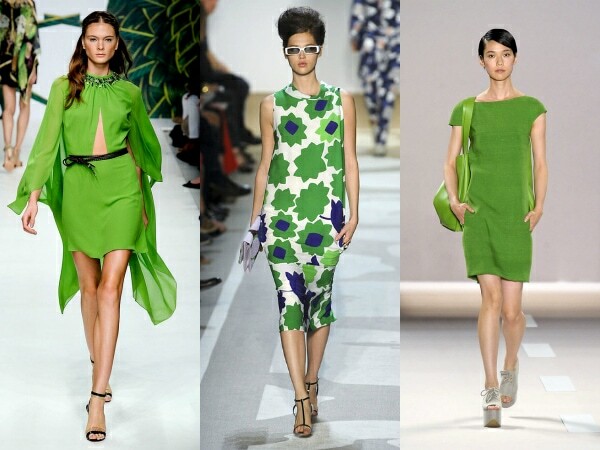 Once the warm weather hits, try wearing a bold dress, top or bikini in this shade. However, if you’re feeling a little color shy, start small by rocking a tangerine mani or accessory. Pastel colors are going to be big in general this season, but mint is the trendiest hue of the bunch. This frosty shade is a lovely mix between blue and green and gives off a light, airy vibe. Mint pairs well with many colors, but we especially love how it looks with yellow, pink and teal. 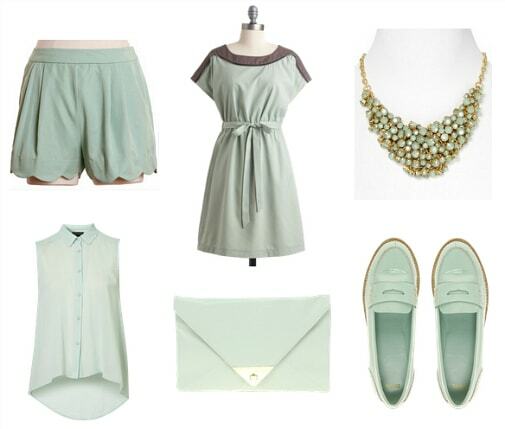 Mix and match a mint-colored item with one of those shades for a gorgeous and spring-appropriate look. This color is definite way to beat those winter blues! 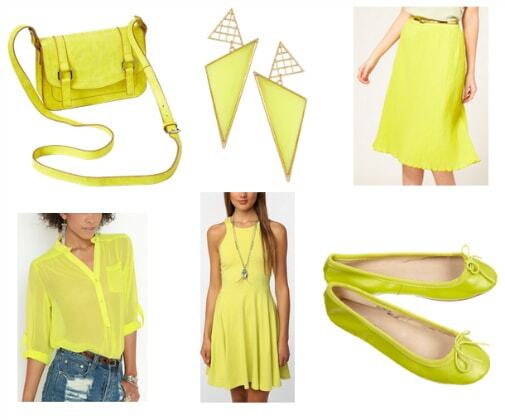 Citron yellow is just on the verge of being fluorescent, which is why we love it — this shade is b-o-l-d. Adding a citron yellow piece to your wardrobe is sure to brighten up your whole look and, as a bonus, will instantly make your skin look more tan — no fake-baking required! We’ve been lusting after this color ever since Emily Blunt rocked a kelly green frock at the SAG Awards a few weeks back, so we’re ecstatic it’ll be über-popular for spring. 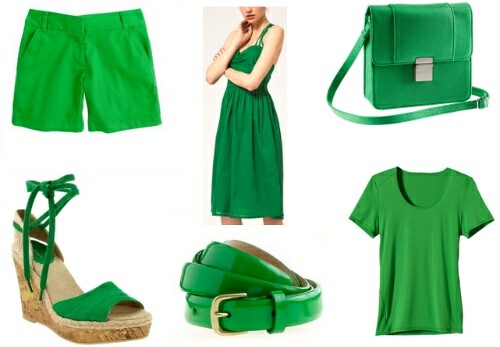 This bright green shade is definitely a head-turner and we can’t wait to wear kelly green shorts, sundresses and sandals throughout spring and summer. No list of spring color trends would be complete without some pink, and this season’s most popular hue is a bright shade with just a hint of orange. 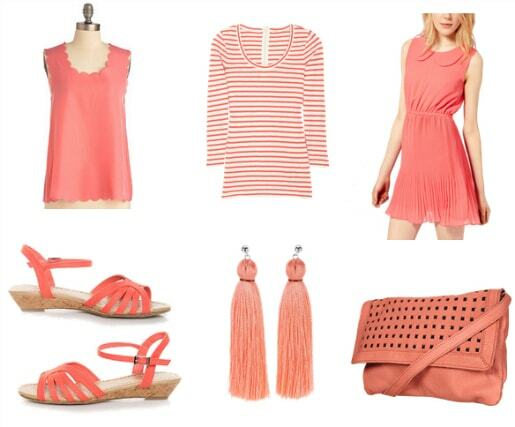 Coral has a great blend of femininity and edginess that works in any girl’s wardrobe. 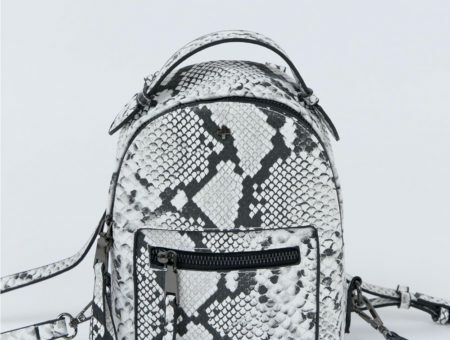 Hopefully you’ll find a piece that matches your aesthetic below! What do you think of these colors? Which one is your favorite? Do you follow color trends? How would you wear each hue? Remember to leave a comment below and let us know what you think! Previous Would You Wear… an Embellished Sweater? Next Would You Wear… Sheerblocking?